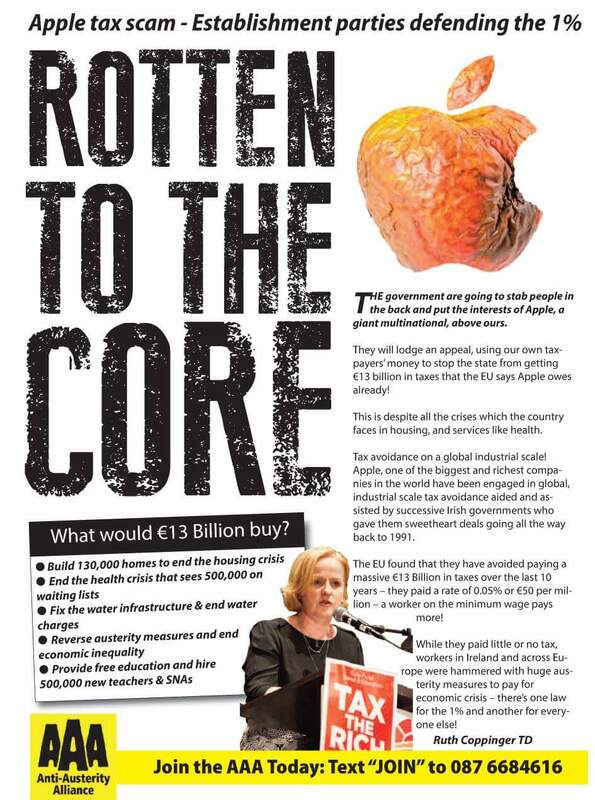 “Apple tax scam -Establishment parties defending the 1%…. 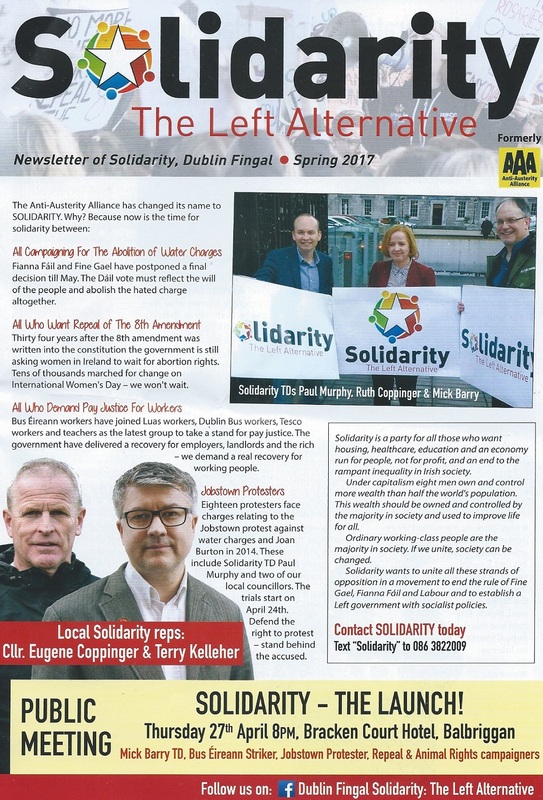 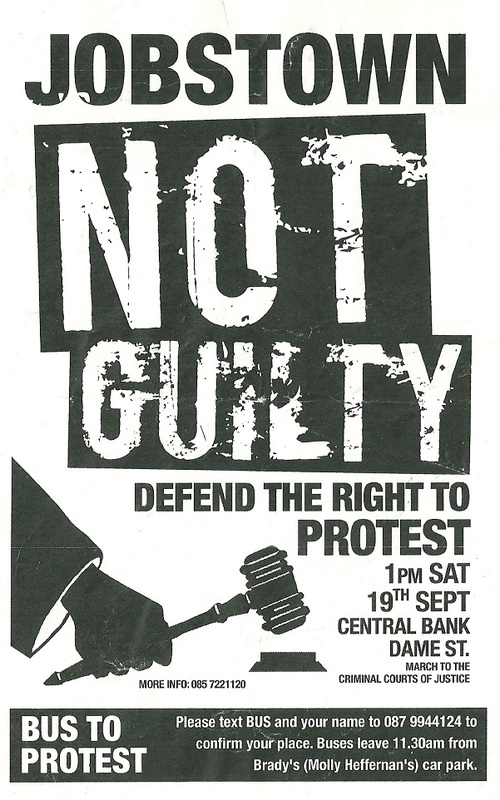 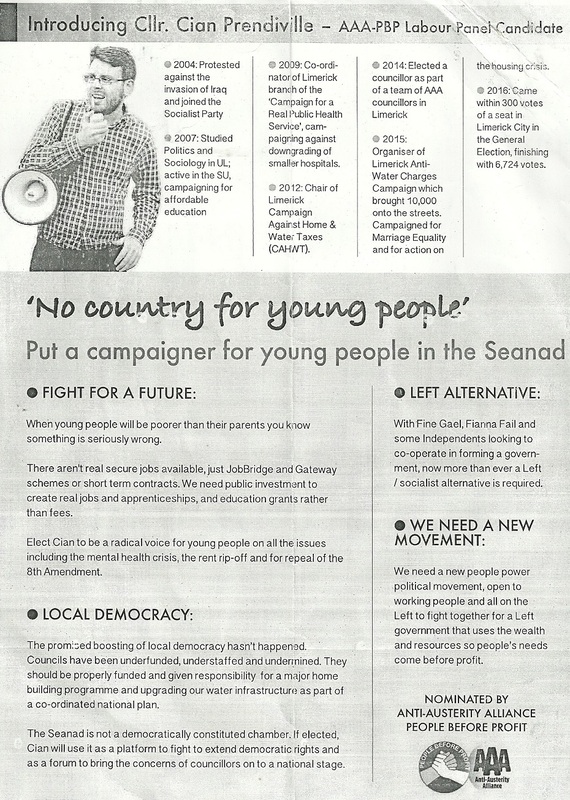 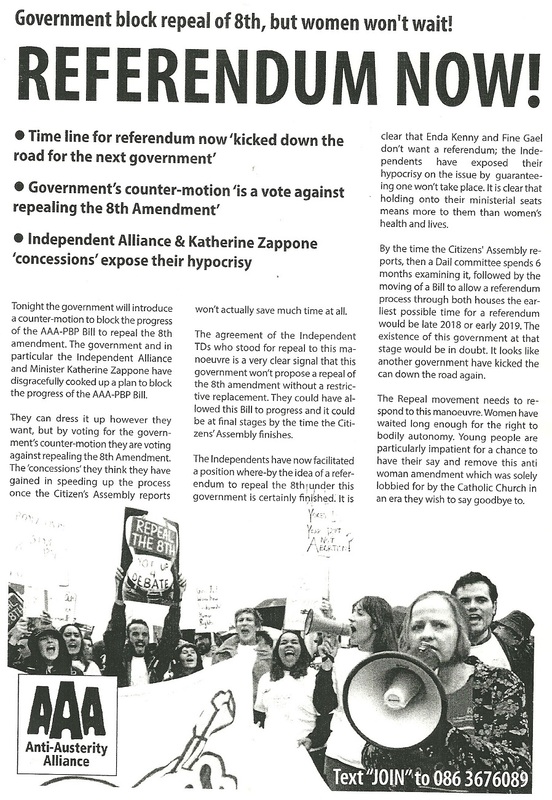 Rotten to the Core” leaflet from the Anti Austerity Alliance. 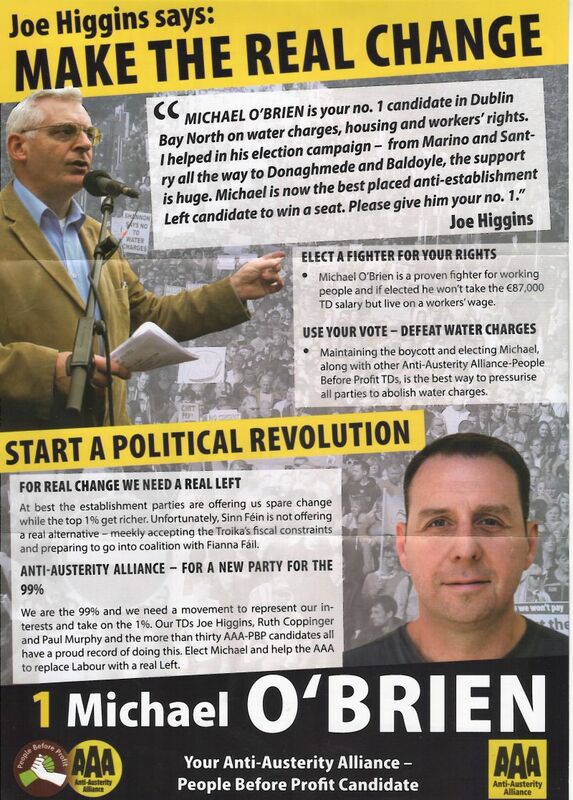 A Leaflet with sample ballot paper from Michael O’Brien who is running for The Anti Austerity Alliance in Dublin Bay North.